The Jungle Jam Classic Swaddle 2 pack from aden + anais is a baby essential no parent should be without. 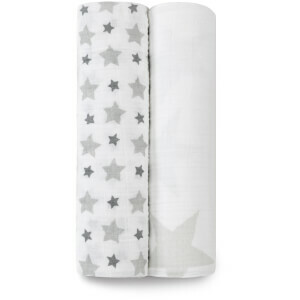 The multi-purpose swaddle is crafted from breathable 100% cotton muslin that is incredibly soft yet durable, surrounding your baby in comfort from dawn to dusk and all through the night too. Beautifully presented, the set of two swaddles features designs with elephants and monkeys and will make the perfect baby shower or birthday gift.